Do you like your Volkswagen vehicle, but would like to have some more storage area? You find it beautiful, but would like it to stand out even more on the road? Then come to the Volkswagen Original Accessories department at Guelph Volkswagen in Guelph. This is where you will find everything you need to improve both the versatility and style of your Volkswagen vehicle. Come see us today. When you are looking for a specific accessory for your Volkswagen vehicle, your first destination should be Guelph Volkswagen. We have a wide selection of Volkswagen Original Accessories to offer as well as fashion accessories for VW enthusiasts. To enhance the versatility of your Volkswagen, we offer roof boxes, sports equipment racks, and carpets for the passenger compartment. We also have summer and winter wheels to offer in addition to a wide range of entertainment and navigation systems. 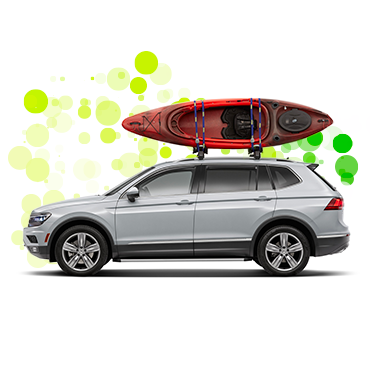 Volkswagen Original Accessories are backed by a full four-year or 80,000-kilometre warranty if installed prior to delivery, so be sure to check our accessories catalogue before finalizing the sale. To learn more about our Volkswagen Original Accessories at Guelph Volkswagen, contact us now.